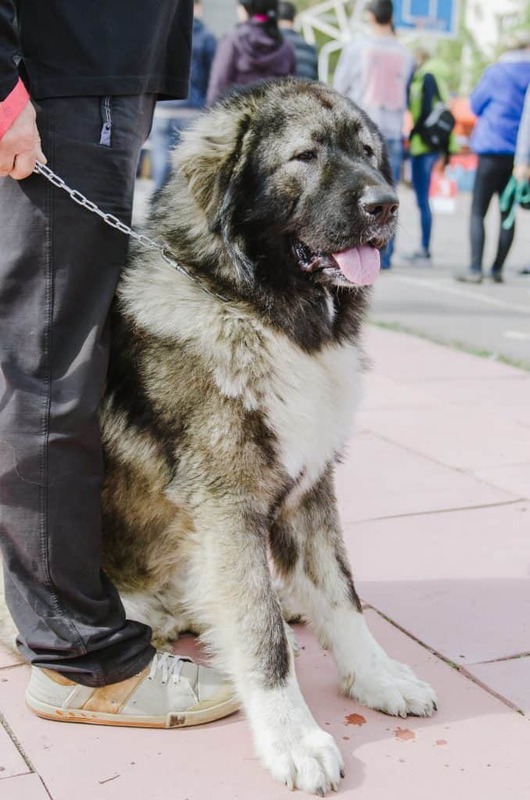 The Caucasian Mountain Dog is a gigantic beast of a canine, who will turn heads at the dog park and send shivers up the spine of would-be criminals. 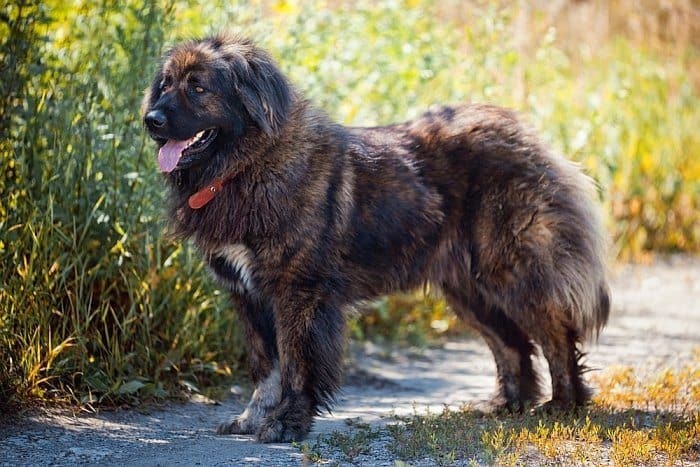 Also commonly known as the Caucasian Mountain Shepherd, Caucasian Shepherd, Caucasian Ovcharka, and Russian Bear Dog, this breed was originally developed to protect people and livestock from bears, wolves and other predators. To successfully repel such formidable foes, the Caucasian Mountain Dog required great size, unsurpassed courage and the intelligence to work alone out in the mountains and fields they called home. But as with most other guarding breeds, they also needed a loving nature, which would foster a strong bond with their owners. These traits make the Caucasian Mountain Shepherd especially popular among big-dog lovers, but they can also represent a number of serious challenges. So, before you add a Caucasian Shepherd Dog to your family, you must familiarize yourself with the breed and learn about Caucasian Shepherd temperament, health and care requirements. We’ll discuss these things and more below so that you can make an informed decision about the breed. But first, we’ll look at the origin and history of the breed. As you may have already guessed, the Caucasian Mountain Dog was originally bred in the Caucasus Mountain region. Located between the Black and Caspian Seas in what is now Georgia, Azerbaijan and Russia, the Caucasus Mountains experience harsh weather, with very long, cold, snowy winters. Farmers living in this region would frequently have problems with bears, wolves and criminals killing their livestock or robbing their homes. They developed the Caucasian Shepherd as protection against these threats. The original breeders knew these dogs would have to be quite large, so they used ancient Molosser breeds – which are also the ancestors or Rottweilers, Mastiffs and several other large, guarding breeds – to serve as the founding stock. Within a few generations, they had produced dogs that generally resembled the modern Caucasian Mountain Dog. 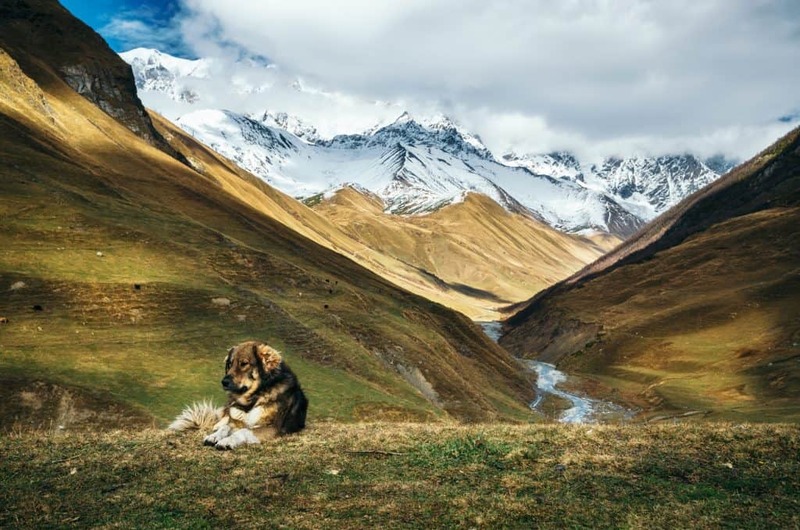 However, the Caucasus Mountains are a vast region, and farmers in different areas required different things from their dogs. So, the breed began to differ regionally as farmers and breeders began customizing the dogs to suit their particular needs. This led to the proliferation of six or seven different variations of the breed. However, those that originated in Georgia began dominating the show circuit, and they eventually became the standard against which the other versions were measured. By the beginning of the 20th Century, Russian Bear dogs were being used by soldiers of the Soviet Union as watchdogs and guard dogs. They remained popular with many other Eastern European military and police units for decades, and they were even used to help patrol the Berlin Wall. One thing becomes immediately apparent upon seeing your first Caucasian Mountain Dog: They are massive. One of the largest breeds in the world, Caucasian Mountain Dogs occasionally weigh up to 220 pounds. Most are smaller than this, and the females don’t reach the same size that the males do, but very few weigh less than 80 pounds or so. But they’re not just heavy, they’re also quite tall. Most Caucasian Ovcharkas stand at least 24 inches high at the shoulder, and some of the largest individuals may approach 3 feet in height. They also have huge, broad heads, which accentuate their size and complete their formidable appearance. Caucasian Mountain Shepherds have thick, double coats, which can be short, medium or long in length. Those with the longest coats tend to have a mane that develops around the shoulders, head and neck region. This thick mane not only makes them look larger and more intimidating, but it provided them with protection against predators too. Caucasian Shepherd Dogs come in almost every color of the rainbow, except for black and silver. Some are multi-colored animals, while others are clad in a single, solid color. 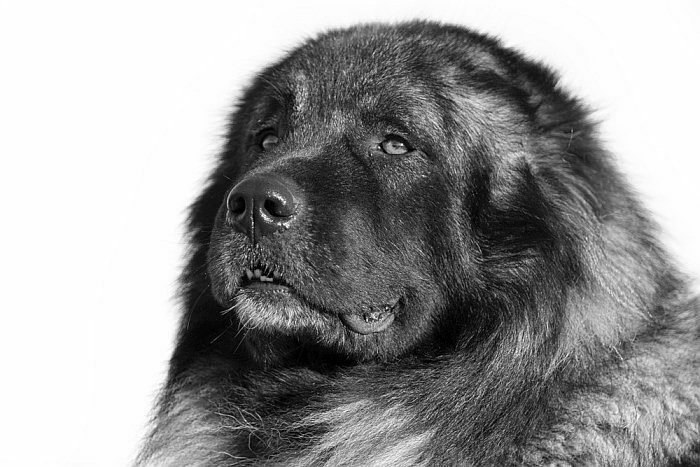 The AKC describes the Caucasian Mountain Dog temperament as “fearless, bold and kind.” It’s an apt description and one that hints at the breed’s bravery and steadfast personality. They are typically at a constant state of alert, and they won’t hesitate to spring into action if they feel their home, family, flock or territory is being threatened. Once they’ve decided that an approaching person or animal must be intercepted, they never back down. Their courage is legendary and given their large size, they are often successful in repelling even the most dangerous aggressors. With their families, the Caucasian Shepherd temperament could be considered as quite affectionate and gentle. 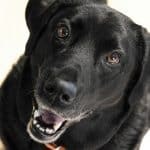 But because they often view all non-family members as potential threats, these dogs can be dangerous in the hands of a neglectful, careless or inexperienced owner. Caucasian Mountain Dogs are very intelligent, but they aren’t especially easy to train. 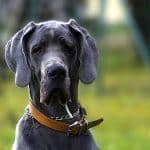 They’re stubborn dogs, and they have a very independent nature; unlike many other giant breeds, they aren’t especially driven to please their people. The Caucasian Ovcharka is much too proud to seek the constant approval of its owner. Nevertheless, when properly socialized and trained, they can become quite friendly. Some Caucasian Mountain Shepherds are even used as therapy dogs. The Russian Bear Dog is a robust animal from a rugged land. Accordingly, they don’t typically suffer very many health problems. 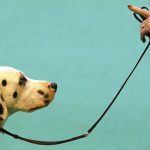 Hip dysplasia is a common problem that afflicts many of the largest dog breeds. The condition occurs when a dog’s hip joint fails to form normally. So, instead of a tightly fitting joint, the joint’s laxity (as veterinarians call it) allows the dog’s femur to slip and slide around. This wears down the cartilage in the joint and causes pain and stiffness. The problem is often progressive, and it can make it very difficult and painful for a dog to get around. Speak with your veterinarian if you suspect your dog may have hip dysplasia, as there are a few different treatment options that may help your dog feel better. Caucasian Mountain Dogs have appetites that match their size, and they have fairly low energy levels. These two factors often combine to result in a very overweight dog. Carrying excess body weight can tax a dog’s heart, liver, joints and spine, leading to pain, lethargy and depression. It can even shorten their lives. To prevent your dog from becoming obese, you’ll need to provide a suitable food for a large breed and monitor his food intake carefully. It’s also important to provide him with plenty of exercise, and it can be helpful to provide your dog with a large yard to patrol. SEE ALSO: How Many Times a Day Should I Feed My Dog? Osteoarthritis can strike any dog breed, but it tends to be most common in large dogs. Overweight individuals are especially vulnerable to the condition, given the excess stress they put on their joints. Osteoarthritis occurs when the cartilage and connective tissue in your dog’s joints (typically the knees, elbows, hips and shoulders) becomes inflamed. This leads to inflammation and moderate levels of pain, which can make it difficult for your dog to get around. Your vet may be able to prescribe medications to help treat the symptoms of osteoarthritis, but it is wiser to try to prevent the condition in the first place. To do so, you’ll need to monitor your dog’s weight carefully and prevent him from engaging in any repetitive, high-impact activities. Caucasian Shepherds are also susceptible to cataracts, which can eventually render them functionally blind. Some also appear predisposed to suffering from food allergies. 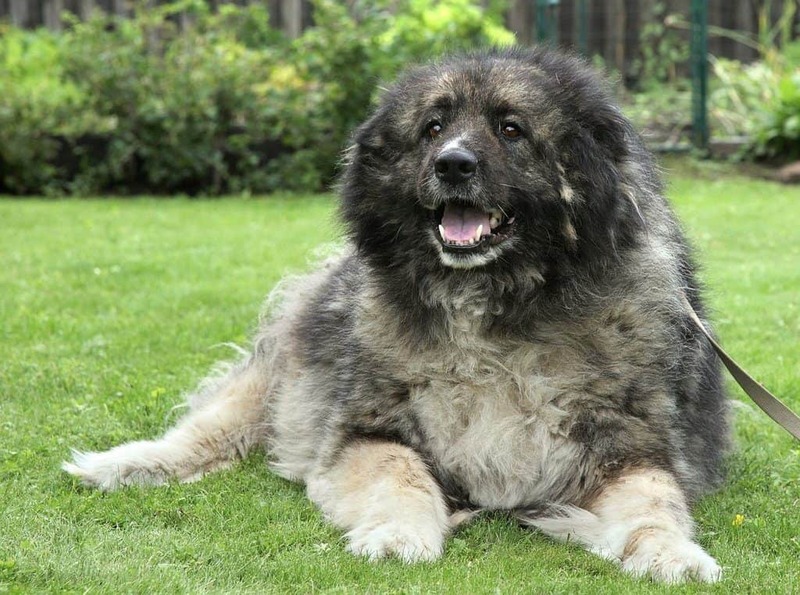 Adding a Caucasian Mountain Dog to your family is not like adopting a Labrador Retriever; these are serious animals who require serious care regimens. You’ll have to ensure that you provide your Caucasian Mountain Shepherd with the right type of care to ensure he remains healthy, happy and properly balanced. Be sure to start by reading our New Puppy Checklist, but you’ll also want to review the specific requirements of this breed below. Unfortunately, not everyone is cut out for Caucasian Mountain Dog ownership. In fact, this breed is completely inappropriate for first-time dog owners or those who don’t have the time, space and financial resources to care for one properly. Ideally, you’ll provide your Caucasian Ovcharka with a quiet, stable home life and a large, fenced yard to roam. They are fairly low-energy dogs, but they’re simply too large for small homes or apartments. These dogs are rarely escape-prone, and they aren’t terribly likely to wander off, but, for safety’s sake, they must be provided with a secure perimeter. Your Caucasian Mountain Shepherd will need a dog house, kennel or shelter of some type if he’ll be expected to sleep outdoors, but it needn’t be very plush. These dogs were bred to endure very cold winter nights, and their long coats will usually keep them warm in all but the harshest conditions. Nevertheless, your dog would likely prefer to sleep indoors with his family, if possible. Caucasian Ovcharkas rarely cause problems with all-night howling or barking, although they will be quick to vocalize upon seeing a potential threat. 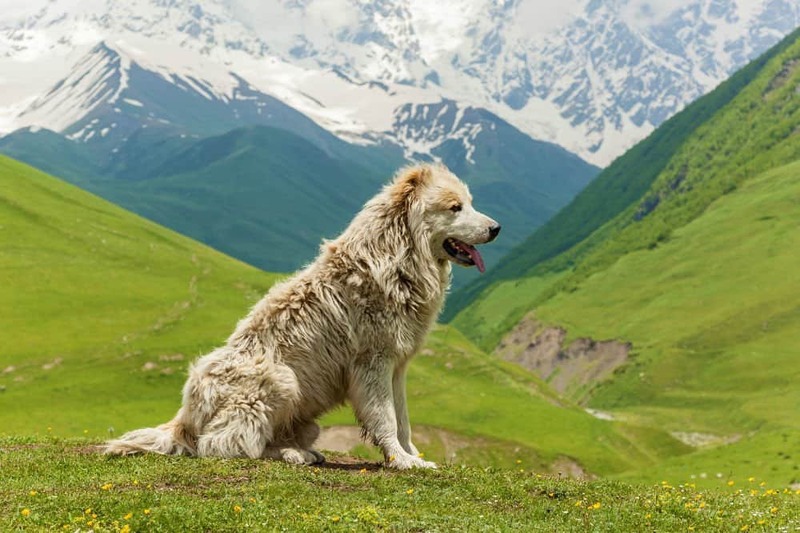 Caucasian Mountain Dogs are happiest when provided the chance to live alongside a pack, whether that pack is comprised of humans, other dogs or a flock of livestock. Just be sure to exercise care when doing so and to begin the introductions while your dog is very young to avoid potential problems. Most Caucasian Mountain Dogs will get enough exercise on their own if they are provided with a big, fenced yard. They’re curiosity, territorial nature and eagerness to keep watch will have them regularly moving around the yard. However, if you are unable to provide your Mountain Shepherd with a fenced yard, he’ll certainly need plenty of exercise. In addition to twice or thrice daily walks, he’ll also need a 20- to 30-minute period of vigorous play each day. This will help him burn off excess energy and avoid weight gain. Fetch is a great way to exercise these dogs, as they’re not especially fond of swimming, and they aren’t typically fond of playing tag with their people. Just be sure that you select a durable chew toy for one of these gigantic and strong-jawed canines. 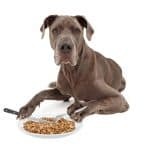 All dogs need a high-quality diet to remain healthy, but it is especially important to feed giant breeds a suitable food, given the demands biology places on their bodies. 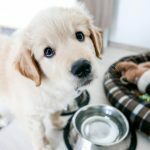 Be sure to check out our guide to the Best Large Breed Dog Foods and speak with your vet about the proper amount of food to provide your dog each day. 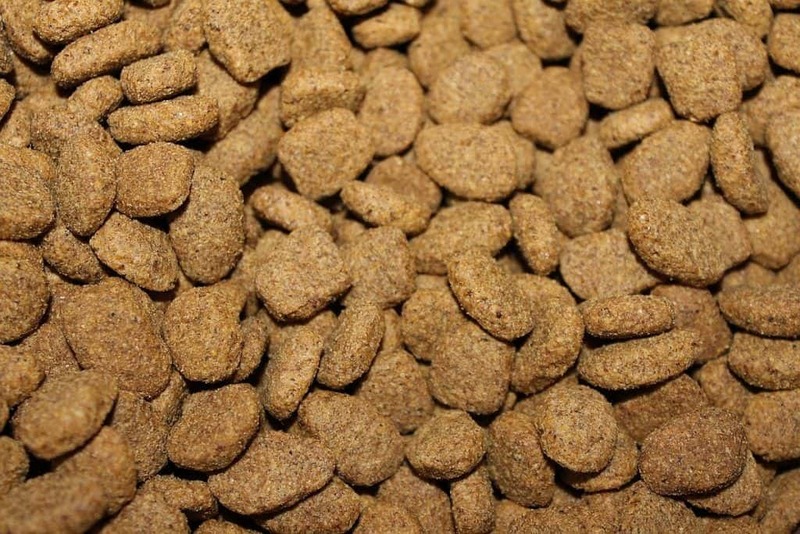 Additionally, it is often wise to provide your dog with a good probiotic supplement. Probiotics are beneficial bacteria, which will colonize your dog’s intestinal tract and aid in the digestive process. They’ll also help your dog fight off bad bacteria, through competitive exclusion. We’ve written about probiotics extensively, so be sure to check out our review of the Best Probiotics for Dogs. Proper training and socialization are absolutely imperative for Caucasian Mountain Dogs. Untrained Caucasian Shepherds may not react antagonistically to their owners, but they can be very dangerous around strangers or other animals. This training should start at a very young age – typically between 8 and 16 weeks. Unfortunately, Caucasian Ovcharkas are not very easy to train. These difficulties don’t stem from a lack of intelligence, as these are pretty sharp dogs. Instead, it is caused by their independent and stubborn nature. They require a strong and assertive owner, with the self-confidence to assume the alpha roll in the pack. Experienced owners may find it easy enough to train their Caucasian Mountain Dog personally. However, you shouldn’t hesitate to solicit professional assistance, if you worry that the training isn’t working as well as you’d like. In addition to training your Caucasian Shepherd Dog, it is also important to socialize it from a very young age. This typically requires nothing more than introducing your dog to a number of people and other dogs from a young age. Just be sure that your new pet has received all of his shots before doing so, unless you have your vet’s blessing. Caucasian Mountain Dogs have thick, double coats, which require a fair bit of care. Otherwise, they can turn into a matted mess, and they may even develop skin problems as a result. These gigantic dogs can be difficult to bathe indoors, so many owners opt to forego baths during the winter when it’d be necessary to do so indoors. However, you’ll find that regular baths during the warm portions of the year will help keep your Caucasian Shepherd cleaner. They’ll also help him smell better. Additionally, you’ll want to brush your Mountain Shepherd regularly – perhaps once or twice per week. This will not only help prevent mats from forming, but it will help rid your dog of some of his soon-to-be-shed hair. This is especially important for Caucasian Mountain Dogs who live indoors, as they can quickly coat everything you own in a layer of fur. Although they require more care than many other dogs, the Caucasian Mountain Dog can make for an excellent companion, whether you expect them to work or simply be a loving pet. You shouldn’t select a Caucasian Mountain Shepherd if you’re new to dog ownership, and you must be sure that you can provide the type of space and training they require before adding one to your family. But, for those that are prepared to do so, these dogs can make excellent additions to your family.